If there’s a phrase to describe the marching orders of finance departments, it’s “adapt as fast as you can.” Not only are finance chiefs and their teams trying to accomplish more on modest budgets, they are also tasked with new responsibilities and adjusting to new ways of working. And the timeline for making significant progress on transformative initiatives is as short as ever. So, how is it all going? A recent CFO Research survey of 158 U.S. senior finance executives, in collaboration with XCM Solutions, explored a variety of management- and workflow-related challenges facing the modern CFO. In a climate in which finance department spending is being cut, resource allocation issues are particularly troublesome to CFOs, the survey found. The most common problem that keeps CFOs up at night is creating and maintaining the capability for the finance department to be flexible, in particular to meet deadlines and to address process snags. 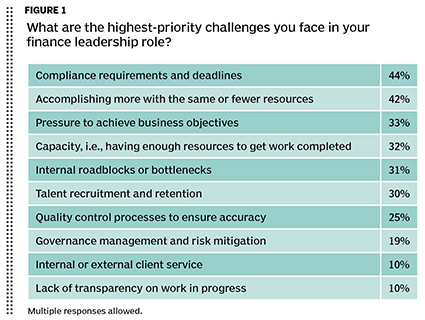 Tied for the second most common issue are (1) keeping staffers accountable for their work and (2) forming a team that can adjust to rapidly changing priorities. To be able to accomplish most of the above, senior finance executives need visibility into projects, due dates, and deliverables. But the survey found that lack of such visibility is the third most common issue that prevents finance chiefs from getting a good night’s rest. Oftentimes, CFOs can’t easily identify potential missed deadlines or bottlenecks in finance’s work processes. 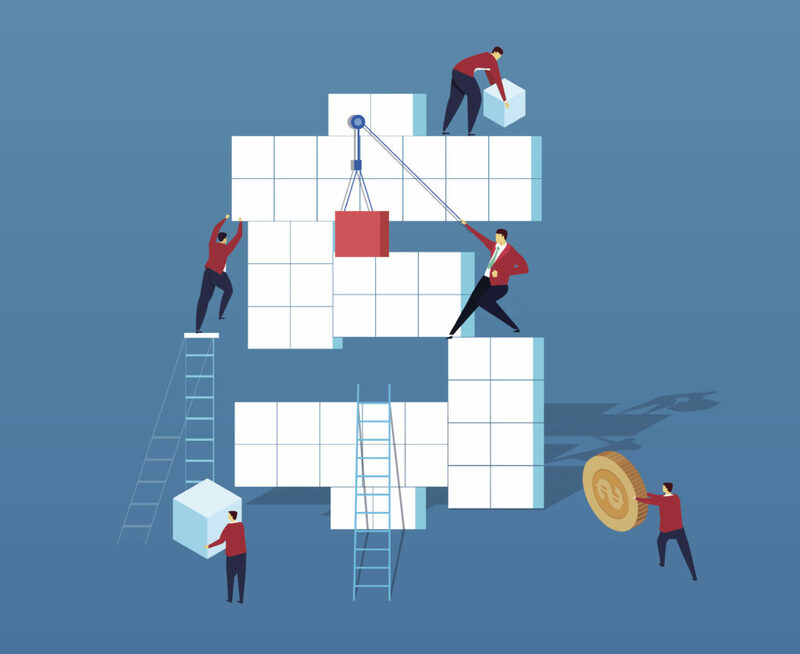 This lack of visibility poses risks in accounting, tax, finance, and audit—risks that the required work won’t be done accurately, efficiently, and on time, raising costs and leading to other negative consequences. Take the example of tax, an area in which roadblocks and bottlenecks can lead to problems with accuracy and deadlines. To start the process, a company’s accounting group typically brings financial data into the company’s income tax system, creating a trial balance. If that data is delayed, then the tax work is delayed and less time is available to complete the taxes before filing deadlines. Tax-preparation workflows are even more complicated when companies have subsidiaries, overseas operations, franchise taxes, and sales taxes. As CFOs and their finance teams are forced to get more work done with the same amount of resources, they are putting in more hours in the office and at home. In particular, many are working weekends to keep up. Nearly two-thirds of respondents said that more than 10% of their finance team members worked weekends to keep pace with the workload. Thankfully, however, more than half of the senior finance executives also indicated that work schedules are more flexible. Some of their team members work outside the traditional 9-to-5, full-time, 40-hour work week. According to the survey, at least 10% of respondents’ finance team members have the option to (1) periodically work remotely; (2) work outside the main finance office; or (3) work non-traditional flex hours (not 9 a.m. to 5 p.m.). Those nontraditional work arrangements help in recruiting and retaining finance staff. 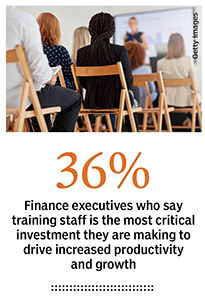 But the challenge for CFOs is how to keep the whole finance team informed in real time. With accounting, compliance, tax, and audit work, accuracy suffers when new team members don’t clearly understand how to execute a specific task or when a contract worker or remote-office employee hasn’t been updated on a new procedure. For example, if a team member isn’t up to date on the latest guidance for the new revenue recognition standards, the team’s productivity can suffer when inaccurate reporting has to be corrected and audit risk increases. defined assignments and progression deadlines, for example, can promote better teamwork, boost morale, and reduce potential miscommunication when projects are handed off. The benefits for workers include clearly defined expectations with appropriate workloads at appropriate skill levels. For organizations, in addition, solving unaddressed workflow issues can keep staffers from having to trudge into the office on weekends. 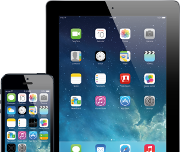 Digital technologies have been a great benefit to finance’s overall efficiency. But they also have changed CFOs’ roles. The survey showed that 72% of senior finance executives are spending more time on data analysis and predictive analytics than they did five years ago. 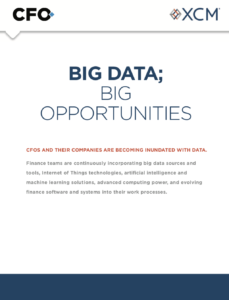 This flood of data and technology presents great opportunities for finance leaders, especially as companies call on their CFOs to help mold businesses’ futures. But it also disrupts long-established processes. 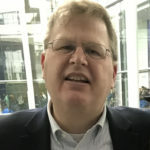 Analytics tools, for example, connect finance to operations and other business units, requiring collaboration and the capability to incorporate new data sources. Work processes have to evolve with a greater emphasis on analytics and analysis, but at the same time, finance has to ensure that the day-to-day operational work is still high quality. One of the defining advantages for businesses in the world of big data, the internet of things, and artificial intelligence is the ability to make real-time, data-based decisions—and that also applies to allocation of work assignments. Business process solutions allow CFOs to reallocate work assignments in real time to prevent workflow bottlenecks. Specific work assignments and staffer progress can be compared at the project level, on a monthly basis, or minute-by-minute. Those kinds of people analytics, when combined with effective staff training, are the best investments organizations can make to drive increased productivity and growth. They also ensure finance can meet the demands of future-focused strategic initiatives.